Trading - Main or Alt ? For questions about manufacturing and trading. This forum can be viewed by the public. I am interested im making my ISK by trading in the future. I thougt about sitting in a Perimeter Trading Tower to trade stuff in Jita with an alt. I will upgrade my main character (Stephe Auduin) to omega soon but I dont wanna upgrade the 2. Character (Count Arvernus), too (I am a poor student xD). 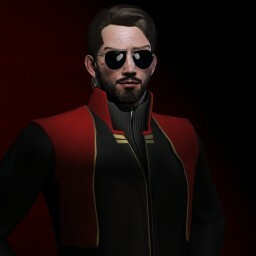 The reason why I want to trade with this alt is that I wanna try different activities and do some pvp - maybe go to nullsec - withe the main character and I dont wanna wait always for the cooldown of 24h for jumping between clones. What does experienced traiders think about that? Does it make sence to gain the ISK for my main character by trading on an alpha-alt? Or is it necessary to be an omega to make "much" ISK by trading? Re: Trading - Main or Alt ? I personally prefer my trading character to be Omega. The reason for this is some very useful skills - like Accounting and Broker Relations, for instance - are listed in the wiki as Omega-only, and even the basic Trade skill has an alpha limit of Level 3. Making isk via station trading (without hauling) is easier when you can have a lot of buy and sell orders up simultaneously, and when you can fatten your slim margins by cutting down on the sales tax (and broker fees if you use NPC stations). Once subscribed, I made my trading character also train into hauling. There are only so many trading skills, and some of the advanced ones - like Tycoon and Visibility, or instance - are not likely to help you until you are running a huge trading empire years down the line. With some basic hauling skills (including cloaking), you can make isk by trading station to station, or at the very least by dragging your main character's loot (mostly safely) from campus to trade hub. You mentioned Perimeter: I've actually made a fair amount of isk carrying things from Perimeter to Jita, simply by waiting for a lower-risk time to perform those 2 dangerous warps. Mmmh. Ok. Maybe I will Install a Jump Clone in Jita/Perimeter to be able to do everything with one character. You saied your made money buy bringing stuff from Perimeter to Jita. What kind of things were that? I cant find anything that is much cheaper in Perimeter to buy than in Jita to sell, probably because many people are buying things in Jita sitting in Perimeter so they buy the stuff in Perimeter automatically, too. You do realise you have another 2 character slots per account don't you? Daniel Wittaker wrote: You could have a bright career ahead of you in Goonforums. That's some upvote-quality Helldump posting. Well done, sir. Stephe Auduin wrote: Mmmh. Ok. Maybe I will Install a Jump Clone in Jita/Perimeter to be able to do everything with one character. This was mostly courier contracts from Perimeter to Jita. I have noticed that it's a little more crowded as a profession now than it was 6 months ago (before CCP changed the rules to stop a specific kind of very common courier scam), but it's still possible to make isk hauling via public contracts. The going rate for a haul is about a million isk per jump, if the cargo is below a billion isk in value. If you have a good cloak+mwd cargo ship and the proper instant-undock and instant-dock bookmarks, it's better money than mining rich plagioclase in a venture.